Following a frustrating system deployment with another vendor, a two-way radio sales and service operation based in Houston, Texas, switches successfully to Motorola Solutions' Capacity Max technology. ACELogic provides a highly intuitive web based portal enabling anyone to quickly and easily design, create, and deploy intelligence at the edge without writing a single line of code. Effortlessly create local logic applications in 5 simple steps for all of your automated operations across your connected devices including the sensors and actuators that are managed by the ACE1000 Remote Terminal Unit. 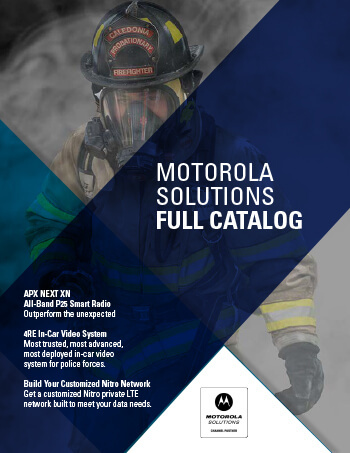 Next-generation public safety mobile apps from Motorola Solutions keep first responders secure, supported and focused. Stoughton School District enhanced district-wide communications by upgrading an old analog system to a MOTOTRBO Capacity Plus Multi-Site system. More than 200 XPR 3000 series radios provide instant communications for teachers, principals, custodial staff and even local law enforcement.